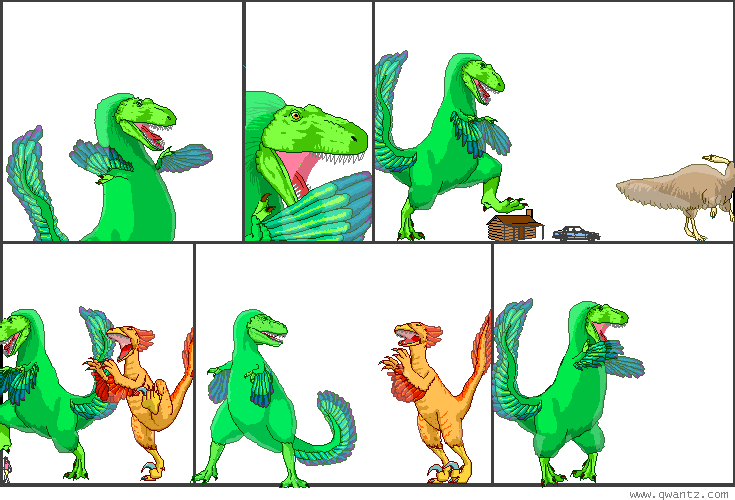 Dinosaur Comics - November 17th, 2011 - awesome fun times! –So, this friend of mine will undergo a regime of self-improvement! It is a great mug to casually sip on while making significant eye contant. Also! When I was done signing I made a handful of sketch books that aren't made out to anyone PERSONALLY but still have a drawing I did of T-Rex wearing a cool hat in them: if you missed out on the chance to get signed books, these aren't available yet but will be for a very limited time (there's only about 40 of them). Generally stuff like this sells out pretty fast but I always mention it on Twitter when it goes live!